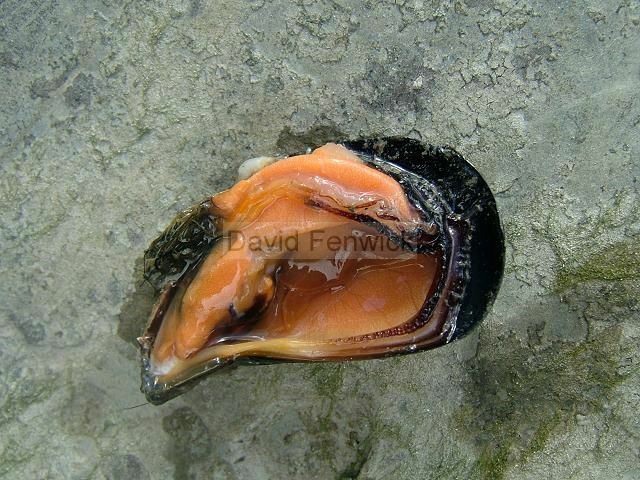 Images taken at Padstow on the Camel Estuary, on a beach east of Charlestown, SX0417351577, 08.09.10; and of a shell collected at Hayle Towans, Hayle, Cornwall. 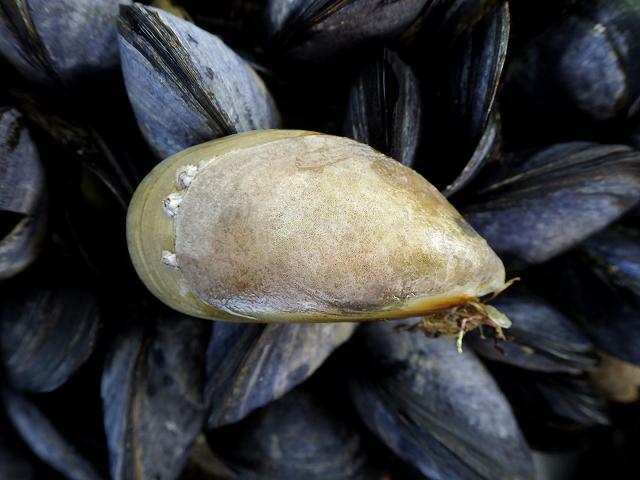 06.11.11. 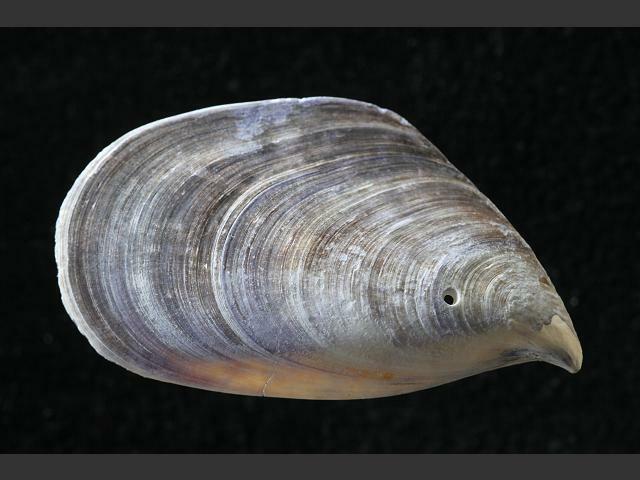 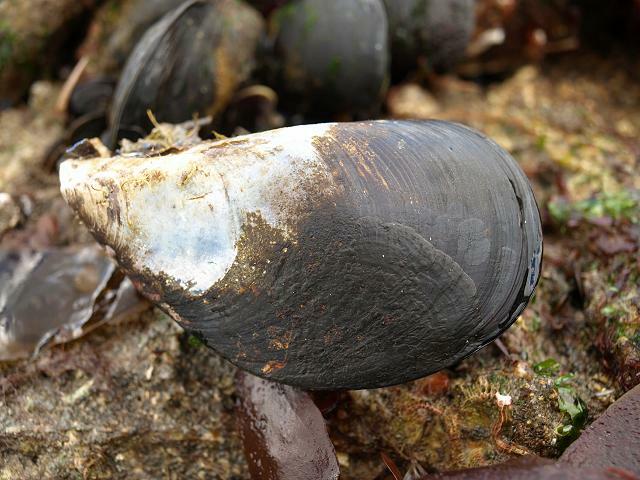 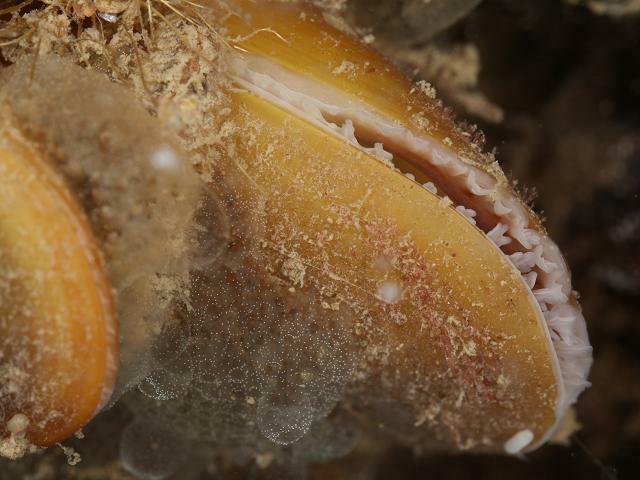 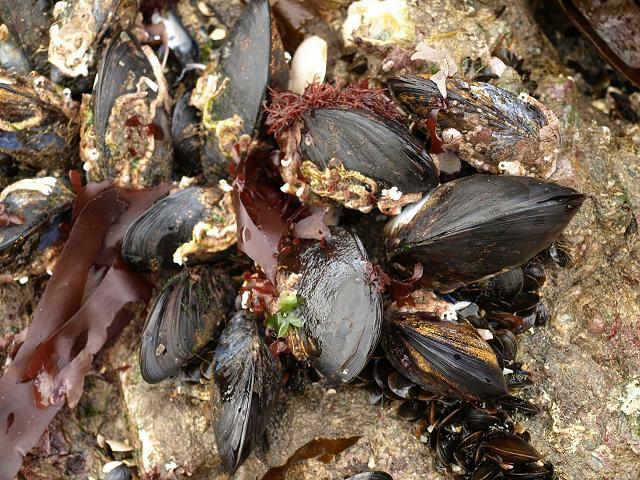 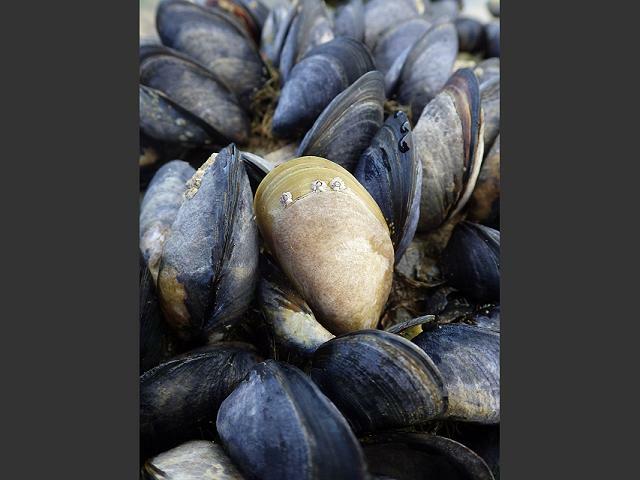 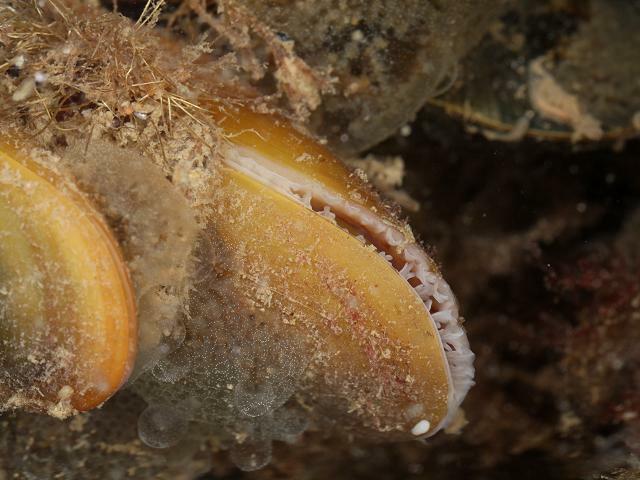 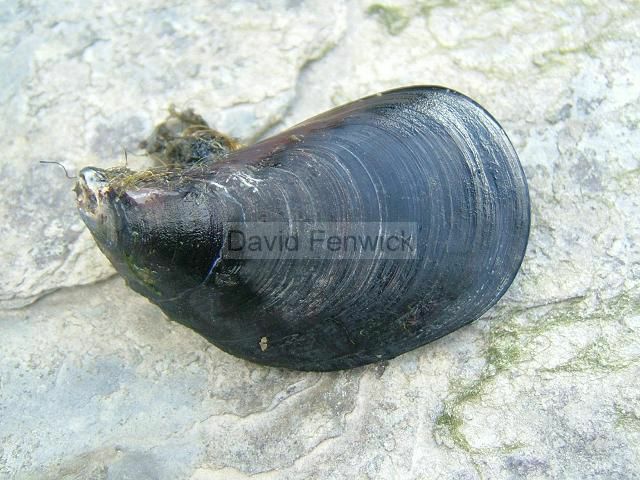 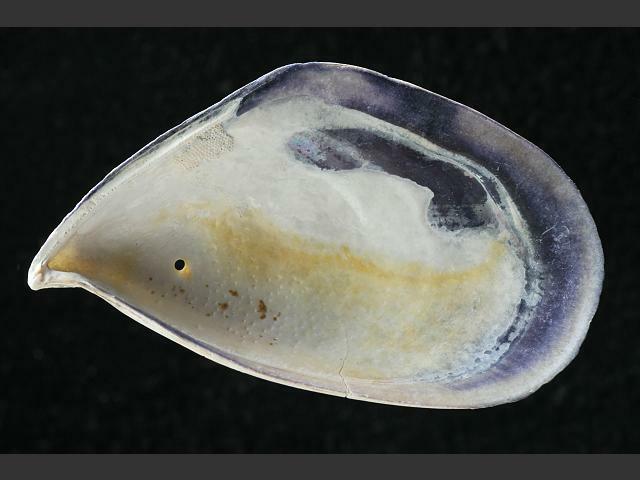 Scientific and European Names: Mytilus galloprovincialis, Galician mussel, Mediterranean mussel, Padstow mussel, Diepwatermossel, Krombekmossel, Moule de Provence, Mittelmeermiesmuschel.